A social event for young adults with disabilities ages 18 to 40 6 – 9 p.m. This event will be held at the Chartiers Room at Bridgeville Fire Dept., 370 Commercial St., Bridgeville This event is a fun way to help develop social skills and healthy friendships with your peers. Pre registration required! (No tickets sold at the door) Register online at ExceptionalAdventures.com; or register by phone. (Phone registrations are only acceptable with a Credit Card Payment.) A confirmation, event information and ticket will be mailed to you one week before the event. If the event is sold out, you will be notified by phone. If you don't receive a confirmation or ticket one week before the event, call 412-446-0713. Exceptional Adventures will not dispense medications. Our staff will provide supervision and assistance only. REFUND POLICY All cancellations must be in writing and sent to Exceptional Adventures (certified mail/fax/email). Please note: Voicemails left on answering machines are not acceptable. A follow-up phone call by the person/Agency submitting the cancellation is required to confirm the receipt of the written notice of cancellation. No-shows or cancellations less than 14 days before the event/dance are non-refundable. At times, substitutions (without penalty) may be made for individuals who have cancelled. 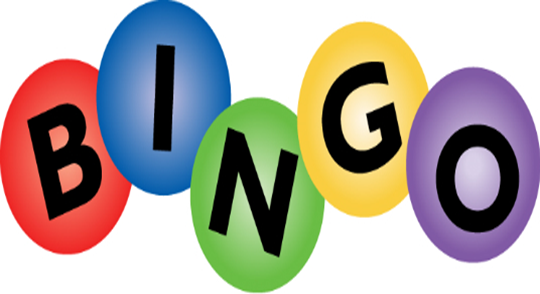 Enjoy soft drinks, pizza, playing Bingo and door prizes!